Many seniors have trouble making ends’ meet. Here are some ideas you can use to get the most out of your hard-earned dollars and live the life you want. If you’re like many senior citizens, then you may have envisioned retirement as a period of “golden years,” where you got to travel, spend time with your grandchildren and do the things that you’ve always wanted to do but didn’t have the time or money for before. But now that you’re retired, you may be living on a fixed income and have trouble covering all of your monthly expenses. Medical and dental bills, car repair bills, car and credit card payments and mortgages can effectively drain every cent of your income at times, and you may be wondering if there is any help for those facing your dilemma out there. Fortunately, there is financial assistance for seniors in several places. In fact, there are dozens of nonprofit and government programs out there that can help senior Americans and disabled people with limited incomes and little to no resources pay for food, housing, dental and health care, prescription drug costs and other daily living expenses that can eat away at your monthly income. Here’s a partial list of some of the programs that are available to seniors like you who need help with their monthly budgets. The Commodity Supplemental Food Program – This program provides low-income citizens who are at least 60 years old with monthly packages of nutritious USDA food. It works to provide food for both state and tribal residents. Nearly 630,000 people participated in this program every month in FY 2017. The Senior Farmer’s Market Nutrition Program – This program gives grants to U.S. states, territories and tribal lands for giving low-income seniors coupons that they can redeem for fruits, vegetables, honey and fresh herbs at local farmer’s markets. BenefitsCheckUp.org – This link plugs you into a network of more than 2,500 food assistance programs available nationwide (though not all services are available everywhere). Check out this website to find out about programs in your area. The Dental Lifeline Network – This is a network of dentists that pledge to provide affordable dental care to handicapped persons and the elderly. The nationwide network has over 15,000 dentists who are willing to help those less fortunate along with over 3,000 dental labs. Dentistry From the Heart – This network offers free dental care to low-income patients. FreeMedicalCamps.com – Provides free medical and dental clinics around the country. Local Area Agency on Aging – This resource can direct you to many state and local programs in your area designed to help you with assisted living costs. Lifeline Support – This service can help you to get discounts on your phone bill. SNAP – This is the national food stamp program. Nearly 50 million people use it. Meals on Wheels – This care service-based program brings food to the elderly on a delivery basis. Pharmaceutical companies – Many large drug companies offer discount plans for their medications. You can inquire with each company to find out what they have to offer. These programs all come in addition to the standard national programs of Medicare, Medicaid, HUD (The U.S. Department of Housing and Urban Development) for housing and the State Health Insurance Assistance Program (SHIP). 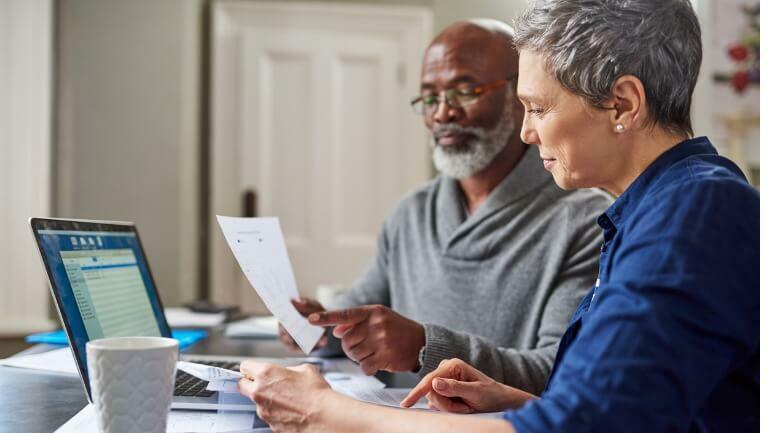 Other organizations like the AARP and the Low Income Energy Assistance Program (LIHEAP) offer other resources that you can draw from in order to make ends meet. The National Council on Aging is another excellent resource where you can find help with senior housing and health care costs. And, of course, there is also Social Security and Supplemental Security Income, which comprise the backbone of financial support for a large number of seniors. Another area in which you can find relief is on your income tax return. Our tax code offers a tax credit for the elderly, and it is also possible to deduct medical and assisted living expenses in some cases. Older adults can also get their taxes done for free through the Volunteer Income Tax Assistance (VITA) program. The Tax Counseling for the Elderly (TCE) program can also provide seniors with answers to questions about income taxes and other tax issues. Many states also offer additional deductions and credits for paying property taxes or for elderly filers. There are also many attorneys who are willing to work with low-income seniors on a discounted or pro-bono basis. They can help with things like estate planning documents, bankruptcies and other consumer credit issues, housing issues such as eviction, family law and immigration. LegalHotlines can help you to find a provider in your area. The previous list is just a partial rundown of the plethora of programs and services that are available to seniors everywhere. But you may not qualify for many of the programs if your income is above a certain level or you have too many assets. This can still effectively leave you in the lurch, as you may be facing expenses that far exceed your current resources. If you need nursing home care but have no means to pay for it, then you may want to consider spending down your assets in order to qualify for Medicaid. If you become disabled, then you should consider applying for Social Security disability benefits. And you can put up to $100,000 of assets in a savings program such as an ABLE account without having to sacrifice any of your government benefits. While it may be unpleasant to contemplate, working for a few more years can go a long way towards covering your retirement costs. You will most likely have private health insurance and other medical benefits as long as you remain with your current employer, and you can also continue contributing to your retirement savings during that time. For example, if you have been making the maximum possible contribution to your company-sponsored retirement plan and had planned to retire at age 65, then you could sock away another hundred thousand or so if you were to keep working until age 70. That would also enable you to put off Social Security until age 70, at which point you’ll get 25% more per month than you would get at your normal full retirement age. Working longer therefore has a triple-pronged effect on your retirement plan. While you may not be able to retire as soon as you’d like, you’ll have more money to last for a shorter period of time, plus a higher Social Security benefit. 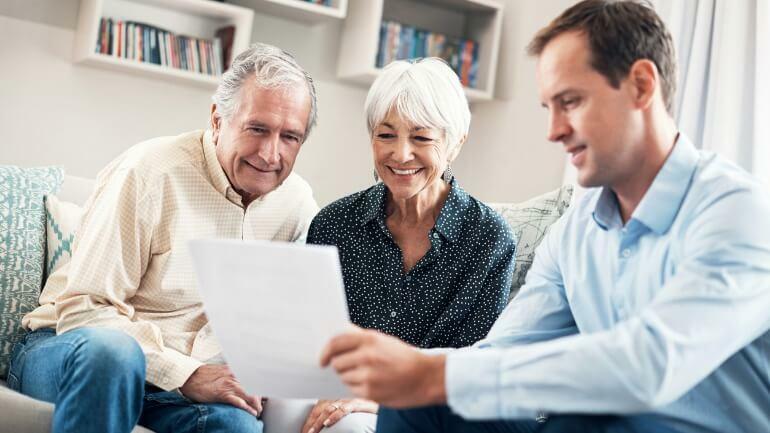 One thing that you will definitely need as you navigate your way through retirement is a good financial advisor, someone who has your best interests at heart. There are many ways that you can do this; start by asking friends or family who they work with and how well they have done. You can also look through the yellow pages or find a financial planner online on the Certified Financial Planner Board of Standards website at www.cfp.net or the Financial Planning Association at www.plannersearch.org. Don’t be afraid to talk to several different planners before choosing one. There are thousands of planners out there, and each one has their own particular philosophy and method of doing things. Some advisors simply dispense financial advice for a fee, while others work solely on commission. Some advisors will charge a percentage of fees under management while others charge by the hour. Some advisors only use low cost mutual funds and ETFs, while others trade with individual securities such as stocks and bonds. Some advisors take a very passive approach to investing while others believe in active management. You need to shop around for a while in order to find a planner who you feel comfortable with and has a similar outlook on the markets as you do. You may have found one or more of the resources listed above useful in helping you to cut costs out of your budget. But you may encounter an expense that dwarfs your current income and assets, such as a major medical diagnosis for a condition that is not covered under Medicare or your private health insurance carrier. However, if you own a cash value life insurance policy (term policies do not count here, as they have no cash value component), then you may have an alternative you can turn to that you were previously unaware of. If you have accumulated a material amount of cash value in your policy, whether it is a whole life insurance policy, a universal life insurance policy or a variable universal life insurance policy, then you can withdraw this money and use it for any purpose that you wish. You have the choice of either cancelling the policy outright and receiving any remaining cash value or withdrawing the maximum allowable cash value and allowing the policy to remain in force.